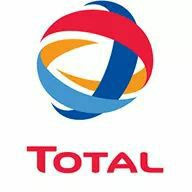 TOTAL PNG is eyeing an option to have two LNG trains located in the existing PNG LNG plant outside Port Moresby, according to managing director Philippe Blanchard. He was explaining the company’s aoptions on the Papua LNG project. “We want to grow in gas and oil,” he said during the Petroleum and Energy Summit at The Stanley Hotel and Suites in Port Moresby on Monday. “This is the reason why we are increasing our acreage, the first focus is PRL (petroleum retention licence) 15. “Papua New Guinea in Asia Pacific is the next area of growth for the company. “LNG (liquefied natural gas) is the segment where we want to grow mostly here in PNG. That is why we have to make Papua LNG cost-competitive. “The focus now is Papua LNG but we are also preparing the future and the future goes to onshore and offshore areas. “We intend to progress on one of our deep water licence here in PNG. “We believe we will make Papua LNG very competitive. We have spent a lot of time on this. “We have seen the sharp drop in oil and gas prices in the last three years so we have to be resilient. To optimise the condensate export scheme. The rational is to take advantage of the existing facilities; and,Share facilities with the PNG LNG plant. We were investigating in which way we can take advantage of the existing space within the PNG LNG plant to locate additional liquefaction trains.